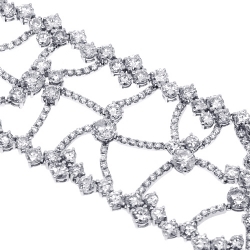 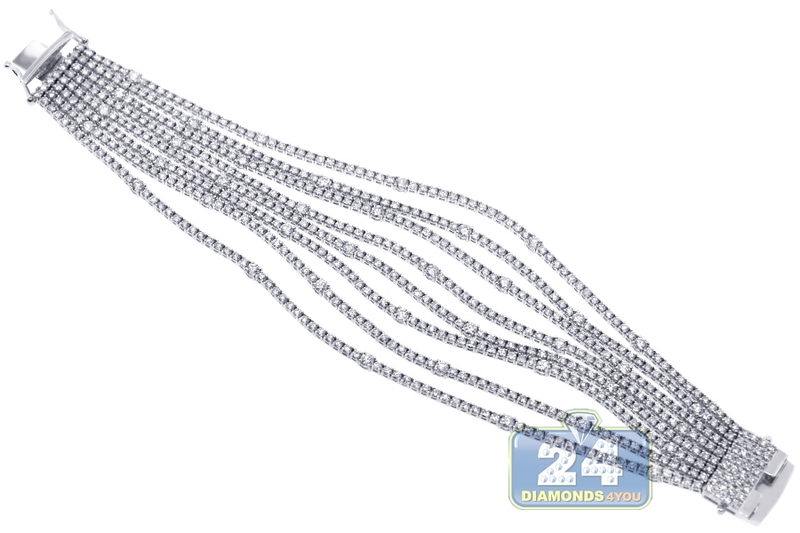 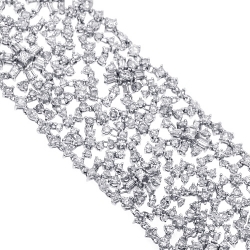 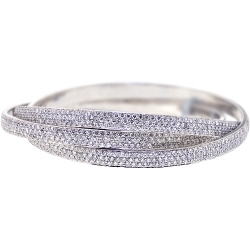 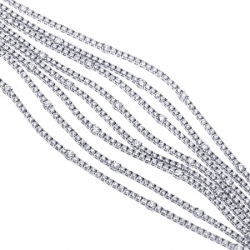 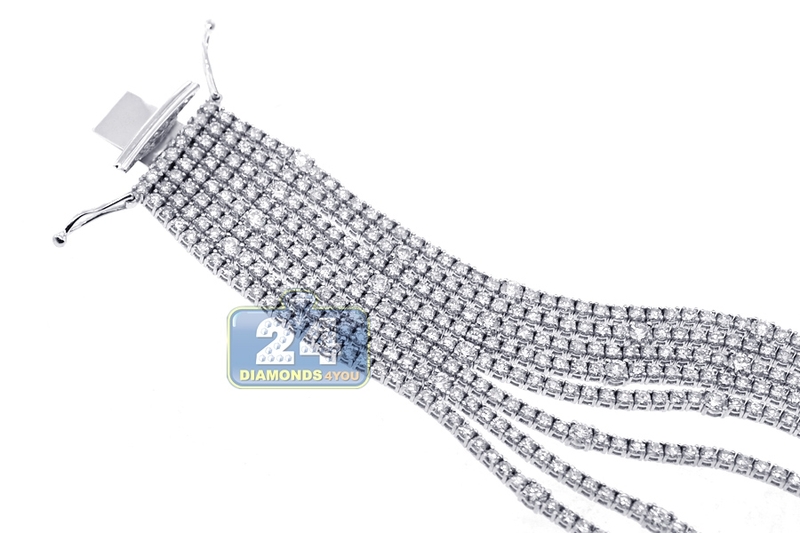 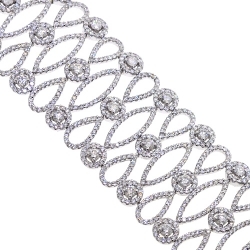 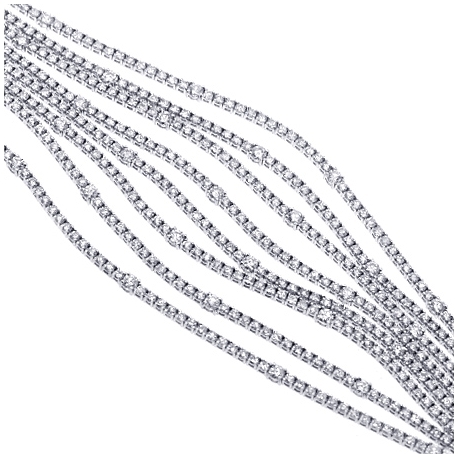 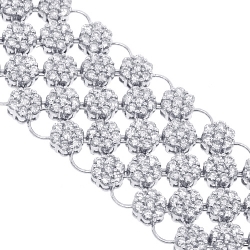 Sparkling and sensational, our women's tennis bracelet features eight separate rows! 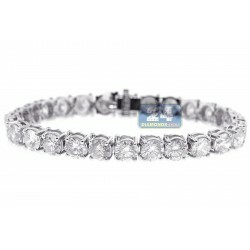 Artfully handcrafted in cool 18k white gold, it is studded with 19.94 carats of icy white round brilliant-cut genuine diamonds. 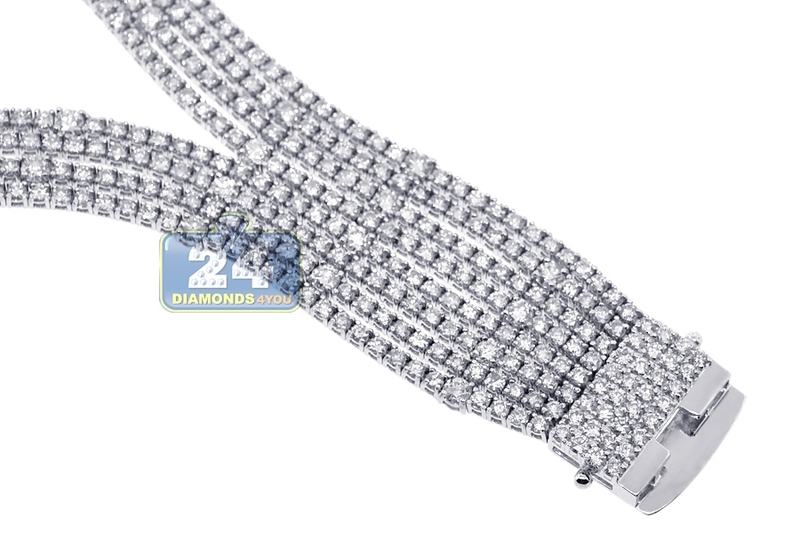 The piece is secured with the safest box-with-double-latch clasp. 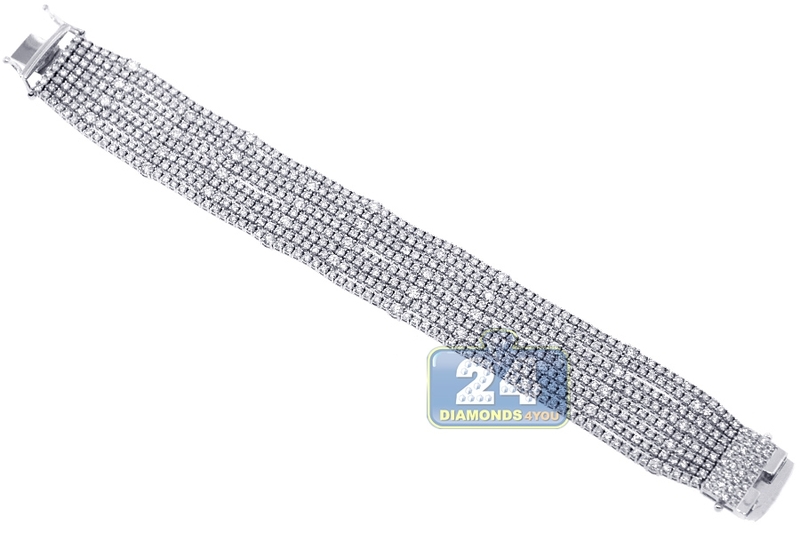 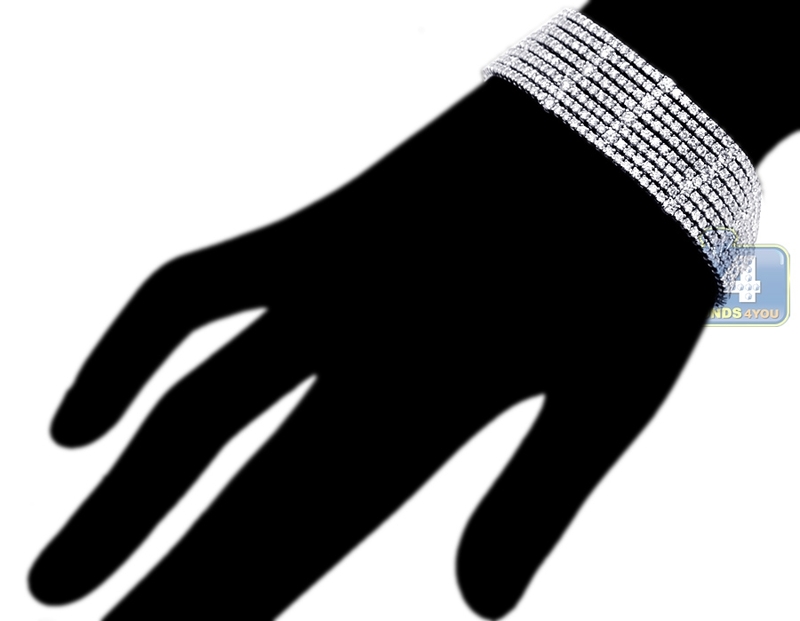 This multi-row bracelet is unique and hard-to-find piece of art!